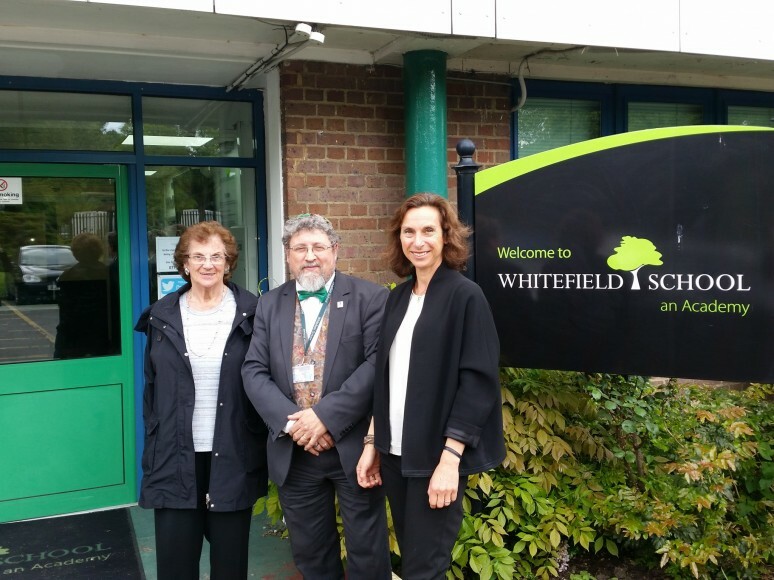 Speaker on the Holocaust visits Whitefield - Latest News - Whitefield School - Live, Learn, Aspire, Achive. 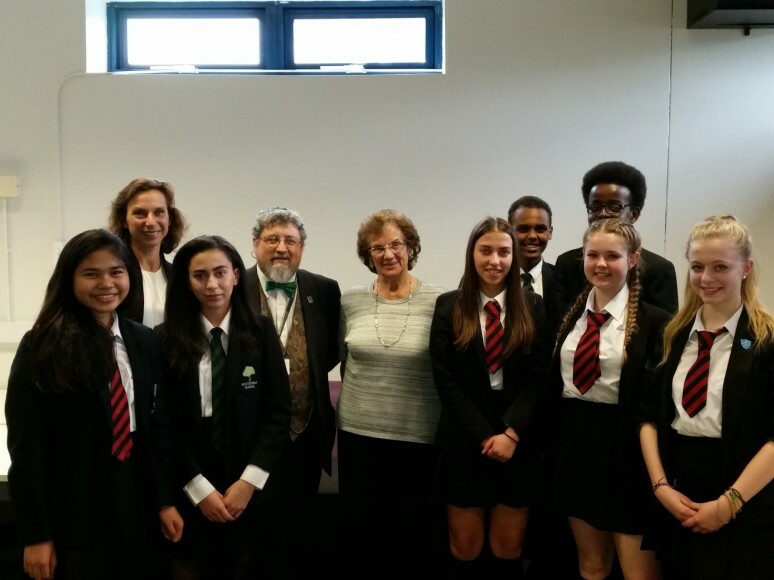 Lady Zahava Kohn and her daughter Hephzibah Rudofsky came to Whitefield School to speak to Year 10, Year 8 and 6th form students about Lady Kohn’s experiences of the Holocaust. It was extremely powerful, moving and inspiring. Zahava Kohn (Kanarek) was born in Palestine and grew up in Amsterdam in the 1930’s. As part of a Jewish family living in Nazi Europe, these were turbulent times: she and her family were captured and sent to Westerbork transit camp in Holland and then later to Bergen-Belsen. They were released in 1945 and, following a period of intensive rehabilitation in Switzerland, settled back in Amsterdam. In 1958, Zahava moved to London. She married Dr Ralph Kohn (now Sir Ralph Kohn)–a pharmacologist–in March 1963 and they have lived in London ever since. They have three daughters and five grandchildren. In 2001, Zahava discovered her late mother’s archive of documents and memories–precariously collected during the war–which had been hidden away in a small suitcase at the back of her mother’s cupboard. Armed with this mountain of memories, Zahava wove together the story of her family’s wartime experiences in the book, ‘Fragments of a Lost Childhood’ (published in 2009). Since its publication, Zahava–together with her daughter Hephzibah–has visited schools across the UK and in Germany to talk to young people of all backgrounds about ‘Surviving the Holocaust’. She also regularly contributes to education sessions at London’s Jewish Museum and the Holocaust Centre in Nottingham, and her story has been featured online by the Holocaust Memorial Day Trust. The response has been overwhelmingly positive. In April 2015 Zahava was a guest on BBC Radio 4’s Woman’s Hour. Zahava has been actively involved in a wide range of charitable work over the years, supporting the arts and music as well as scientific, educational and humanitarian causes.